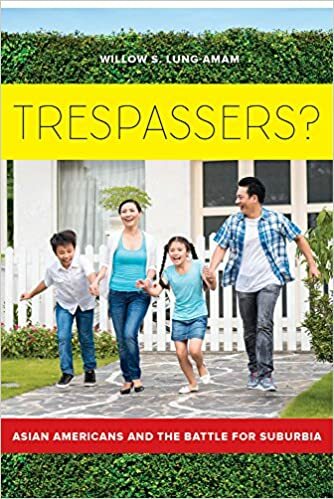 I participated in a panel yesterday to discuss the book Trespassers? : Asian Americans and the Battle for Suburbia by my friend and colleague, Willow Lung-Amam. I have written out a summary of my comments on this very important and timely book below. I want to congratulate Dr. Lung-Amam on the great accomplishment that this book represents. People who want to understand race in its contemporary context should read this book. I intend to assign it to my students for this very purpose. Rolf Pendall posted a short, interesting piece on the suburbanization of poverty at the Urban Institute's new Metro Trends Blog. In it, he questions the basis of determining cities from suburbs in the service of understanding the "suburbanization of poverty." His criticism stems from the ambiguity of defining suburbs and cities based on their urban design and physical infrastructure. He demonstrates this ambiguity through examples of Houson, Texas (a city with extensive sprawl); Fremont, California (a suburb with its own employment base and denser development than Houston); and Silver Spring, Maryland (an inner-ring suburb with all of the accoutrements of urban living).